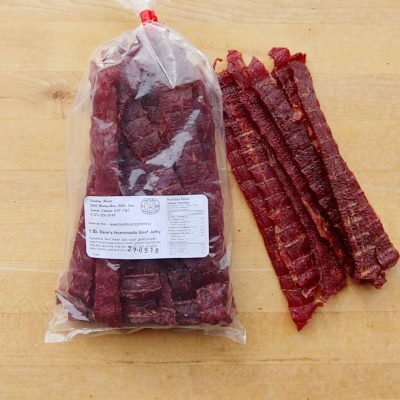 Order your Package of Dave’s Homemade Beef Jerky here on our website today to experience for yourself what everyone is talking about! In 1989, Dave Hewitt discovered a need for a quality and unique snack food. After months of testing other commercial recipes, Dave decided to form his own recipe and that was when Dave’s Homemade Beef Jerky was created. Dave has now expanded his line of Beef Jerky to include Dave’s Smokin’ Jalapeno Beef Jerky and Dave’s Easy Snackin’ Beef Jerky. 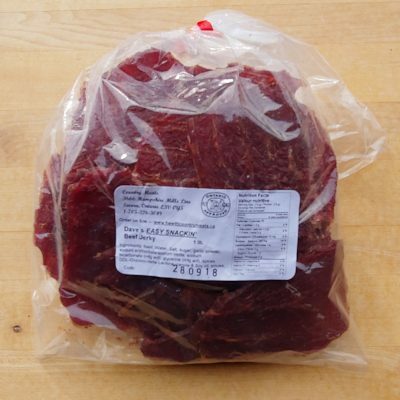 Dave’s Beef Jerky products are delicious snacks that will indeed fill your hunger gap. The unique texture, spice and desirable flavours make these great snacks for everyone to enjoy at home or on the go. Perfect for the people who are always on the move and those who love the outdoors. We are an Ontario licensed plant and this product is only available to residents of Ontario with a valid Ontario address, thank you for your understanding. 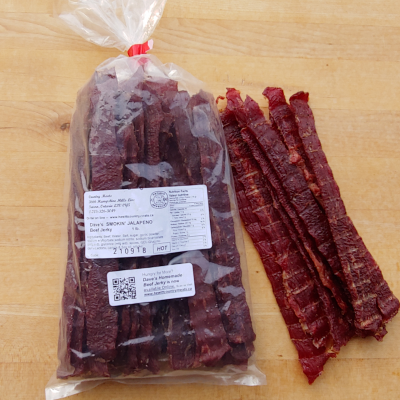 Dave’s Homemade Beef Jerky is conveniently packaged and can be eaten on the go because it is shelf-stable, which means no refrigeration is required, at any time!